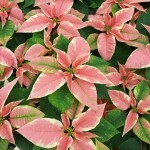 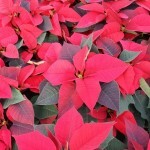 It’s funny how the different light levels will make the same poinsettias look different colors. 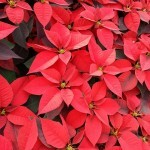 Despite what you might think. 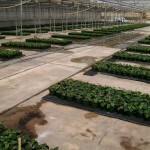 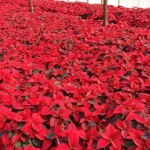 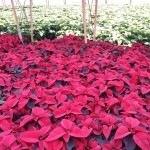 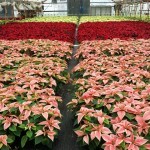 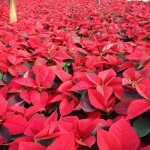 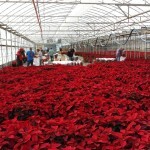 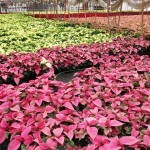 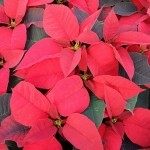 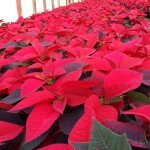 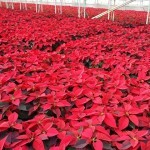 All these red poinsettias are the same variety (color) of red. 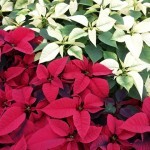 The difference in how they look is due to sunlight. 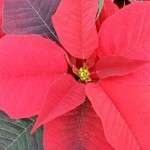 In full sun, the red will look faded and washed out. 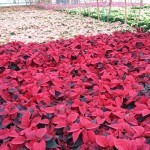 The deeper red is in shady or cloudy conditions.